Talk about a stunning dish! Am I right? These crispy potato rafts are loaded with savory goodness and can whip up to impress even your fanciest of guests in no time at all. 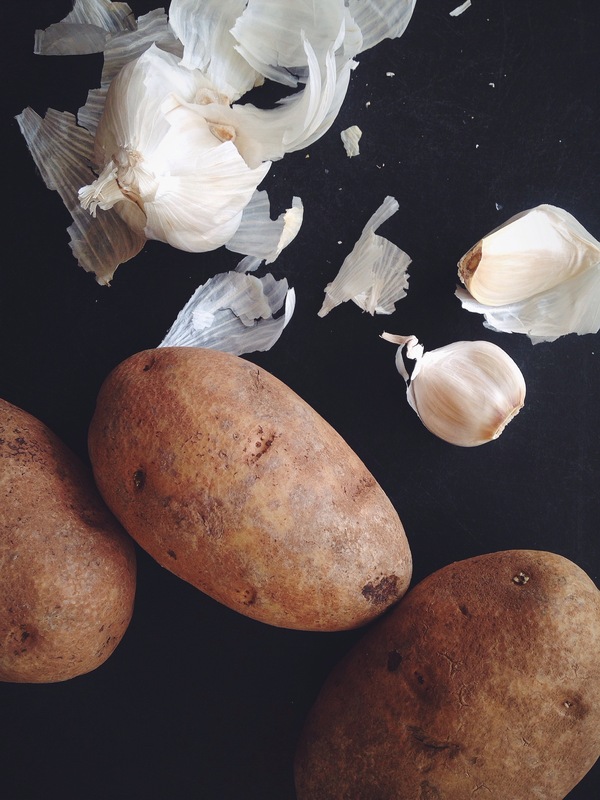 I promise they look far more complex than they actually are to prepare…if you can slice a potato and pile the slices together you are all set. Serve with a simple green arugula salad and you have a nice little meal on your hands. One note, I will definitely use a thicker piece of fish like halibut next time. Sole was deicious but the pieces I used weren’t substantial enough. Preheat the oven to 425°F with a rack in the center position. 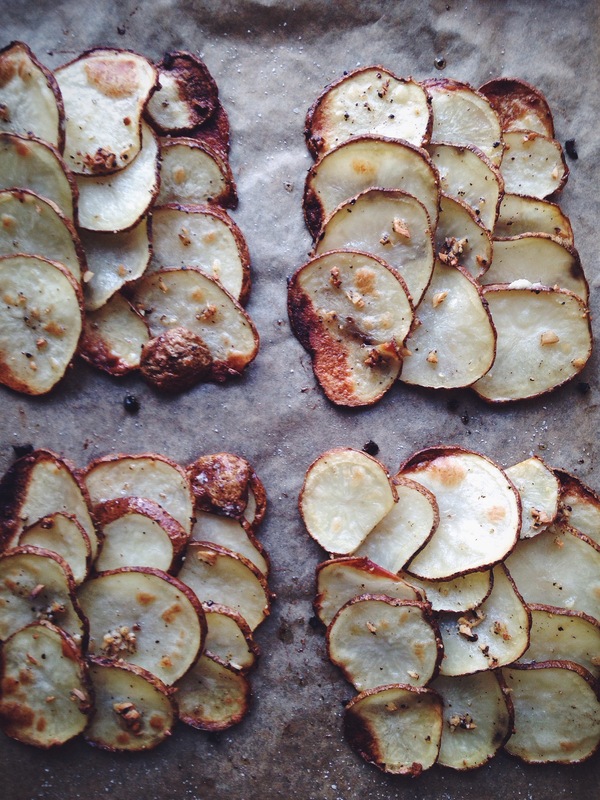 Line a sheet pan with parchment paper. 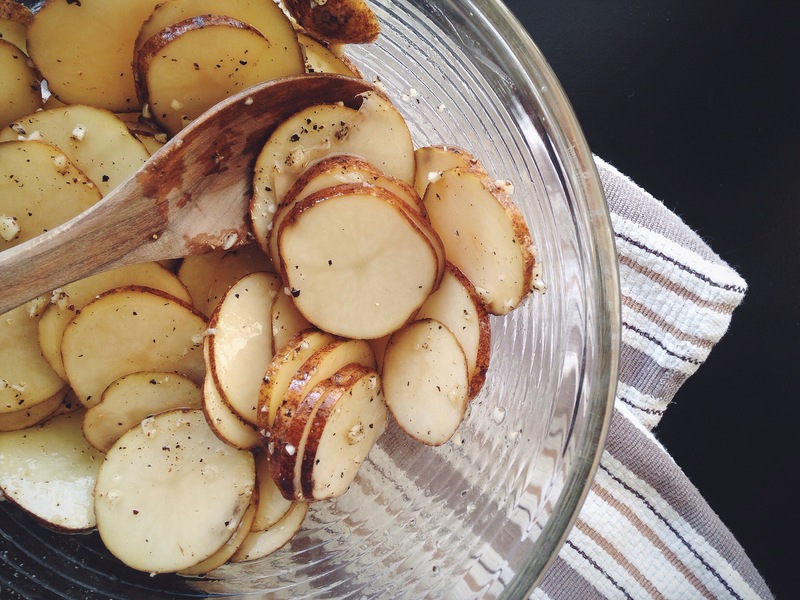 In a large bowl, toss the potatoes with the olive oil, garlic, salt, and pepper until thoroughly coated. Assemble 4 potato rafts by overlapping potato slices on the prepared pan in rectangular mounds. Each raft should consist of 3 or 4 shingled rows and be roughly 4 x 6 inches; use 3 or 4 slices of potato per row. 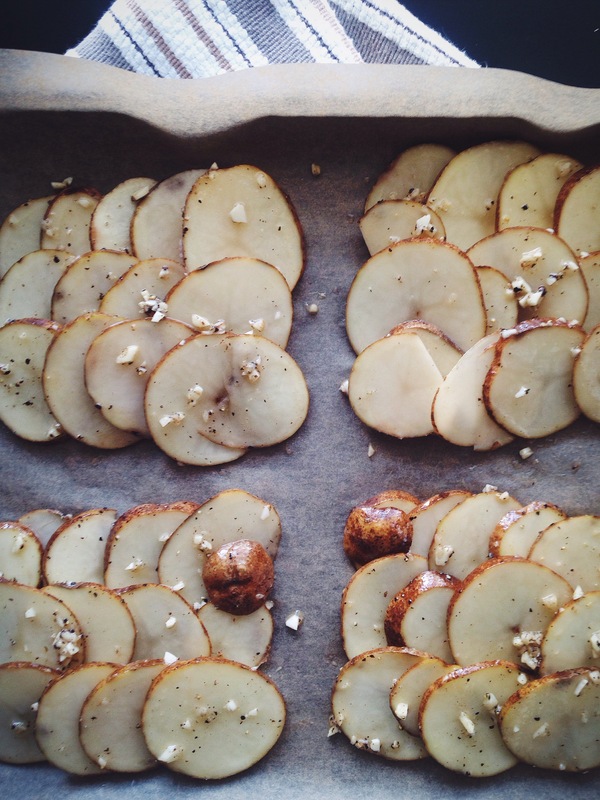 Roast the potatoes, rotating the pan halfway through, until golden brown and beginning to crisp, about 30 minutes. Remove the pan from the oven. 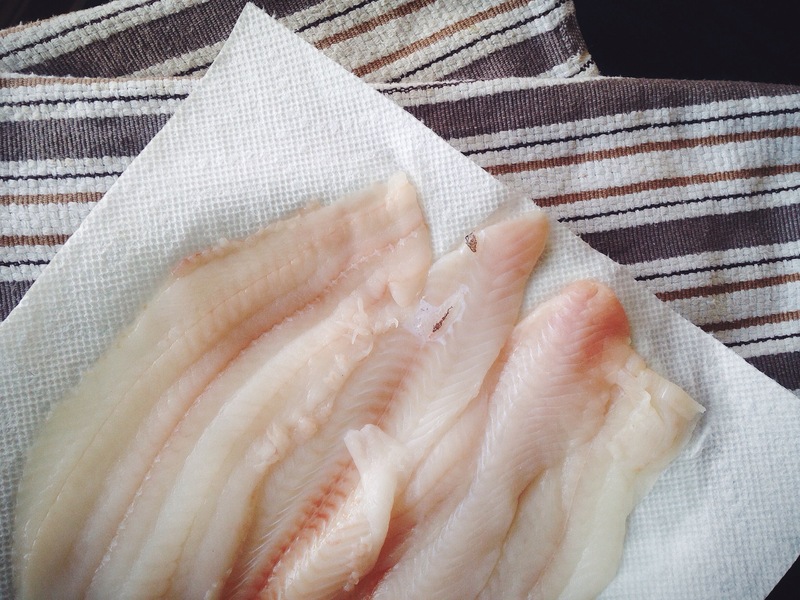 Blot the fish fillets dry with a paper towel. Place one, skin-side down, centered on top of each potato raft. 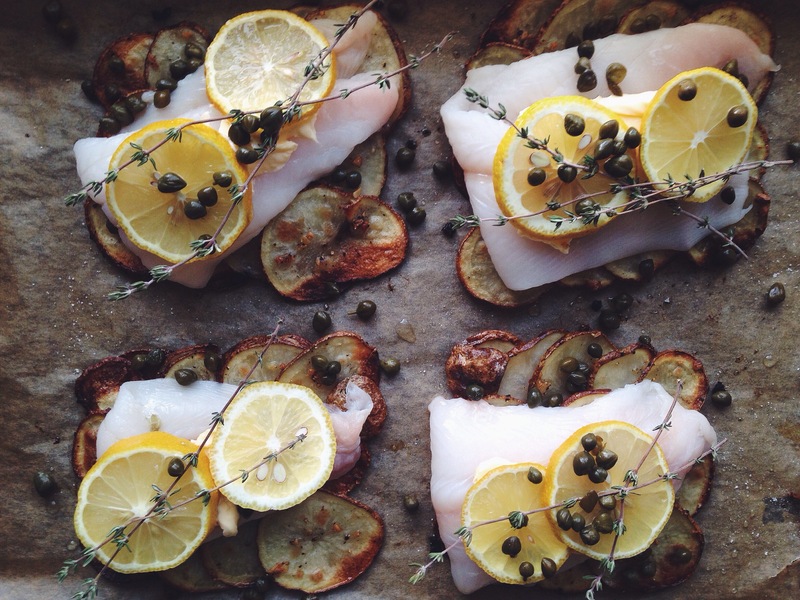 Top each piece of fish with 1 tablespoon butter, 2 lemon slices, and 2 sprigs thyme. 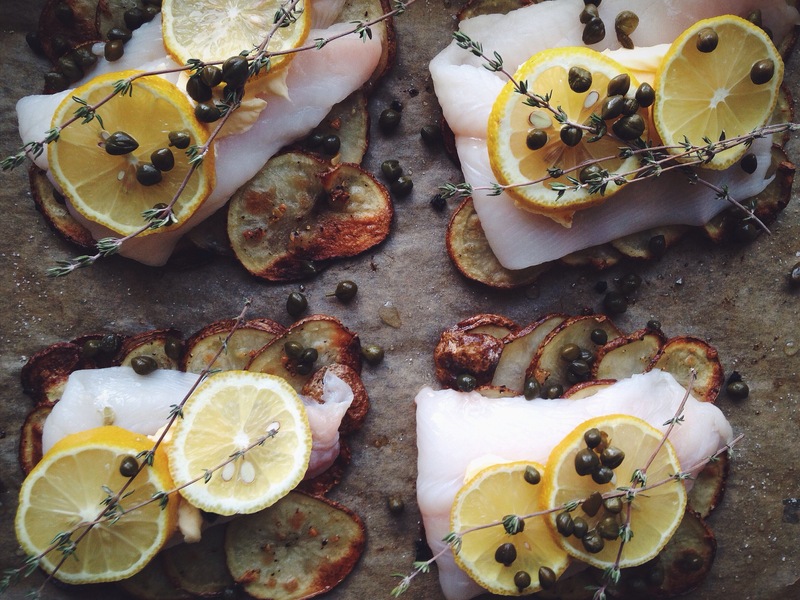 Scatter the capers atop the fish and around the pan. Return the pan to the oven and roast until the fish is flaky and opaque, about 15 minutes. Transfer the potato rafts and accompanying fillets to individual plates, ideally with a big spatula. Serve hot. Thank you! It’s easy to do when the food is that beautiful. Yum! Looks great! I just made baked red snapper filets yesterday with thyme and a bunch of other herbs from the garden, but I do love sole as well! 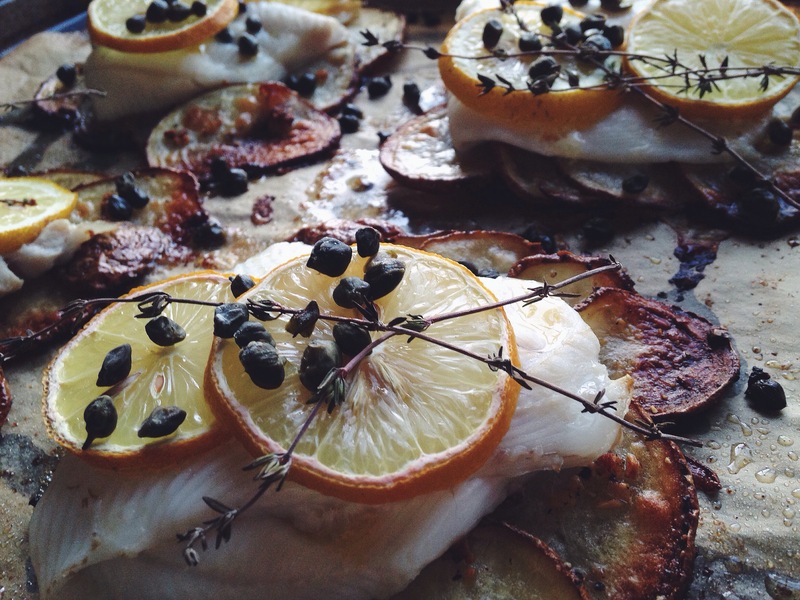 I really like sole too but next time I’m definitely splurging on halibut for this recipe…it will work better with a thicker cut.